Preheat oven to 350 degrees. Mix everything together well in a bowl and scoop into lined muffin tins. Bake at 350 for approximately 25 minutes. Let cool. 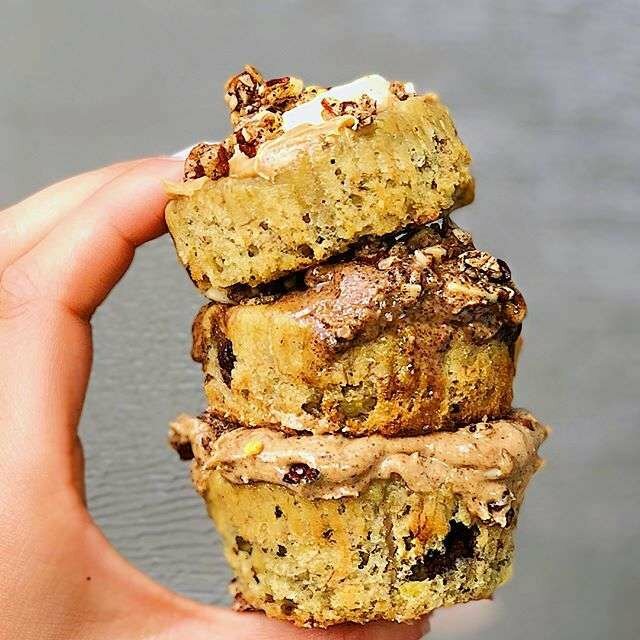 @namasteupbeet “frosted” hers with various Julie’s Real Almond Butters and Cashew Butters and topped them with Julie’s Real Grain-Free Granola and banana slices!